Do you get writer’s block when trying to think of content marketing topics? You are not alone. Learning how to write great blog content all starts with blog content ideas. What the heck should you write about? Today I have 7 ways for you to get ideas for topics to write a blog about. Content Marketing Topics: Never Run out of Blog Post Ideas Again! In this blog post I am sharing some great ways to find ideas for blog content writing. Coming up with the best content marketing topics can be a little overwhelming but once you realize how easy it is, you’ll never run out of content ideas again! Webinars. 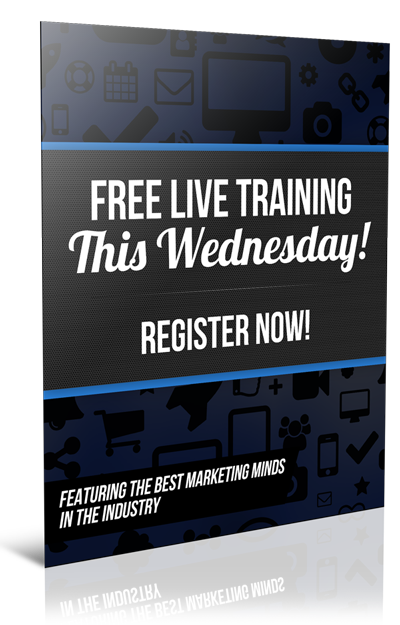 Find webinars in your niche market and register! Take lots of notes and implement what you learned. Now write a post about it. Webinars are a never ending source for inspiration and ideas. Just apply the Learn, Do, Teach method and you’ll never run out of content marketing topics again! Email Newsletters. If you are like most online content marketers, you are likely signed up for email lists from other online marketers. What topics are they covering? Take notice and get inspired. Remember, you don’t want to copy their blog posts, just get inspired by their ideas. Be a Problem Solver. Who is your niche audience and what type of problems do they have? For example if you niche market is people who want to lose weight, blog topics can include tips and solutions about weight loss. 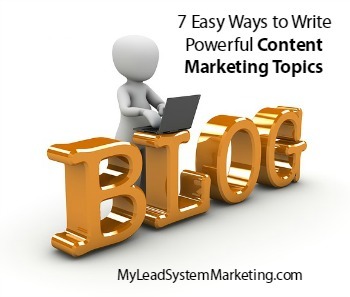 Write blog content that helps your niche market. Books on Amazon. Have you checked out Amazon lately? Explore the most popular books in your niche and you will have a never ending list of ideas for creating content. And if you read some of the books, you can write books reviews and make recommendations. Interview Leaders in your Industry. Reach out to an expert of leader in your niche and interview them. Publish the interview as a blog post and link to that person’s website. When you interview top leaders, you can also gain more credibility. Participate in Social Media Forums. A simple way to get great content marketing topics is to directly find out what your audience is looking for. You do this by joining Facebook groups or other forums to find out what questions are asked the most by people. Leverage Trends. This is one of my favorite blog content ideas. What is the latest news in your niche market? Any new products coming out in the next few months? Being “first to market” can land you on page one of Google and keep you there. Create great content around the topic to increase your exposure. I’ve used this method for years and it’s works like a charm. I hope you enjoyed these “7 ideas for content marketing topics”. I appreciate if you share them in social media. 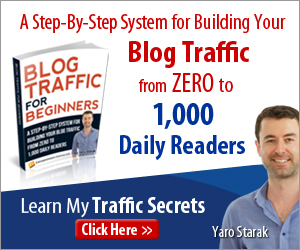 If you are looking to leverage your blog marketing even more, CLICK HERE to download my Best of the Blog about Blogging Ebook!